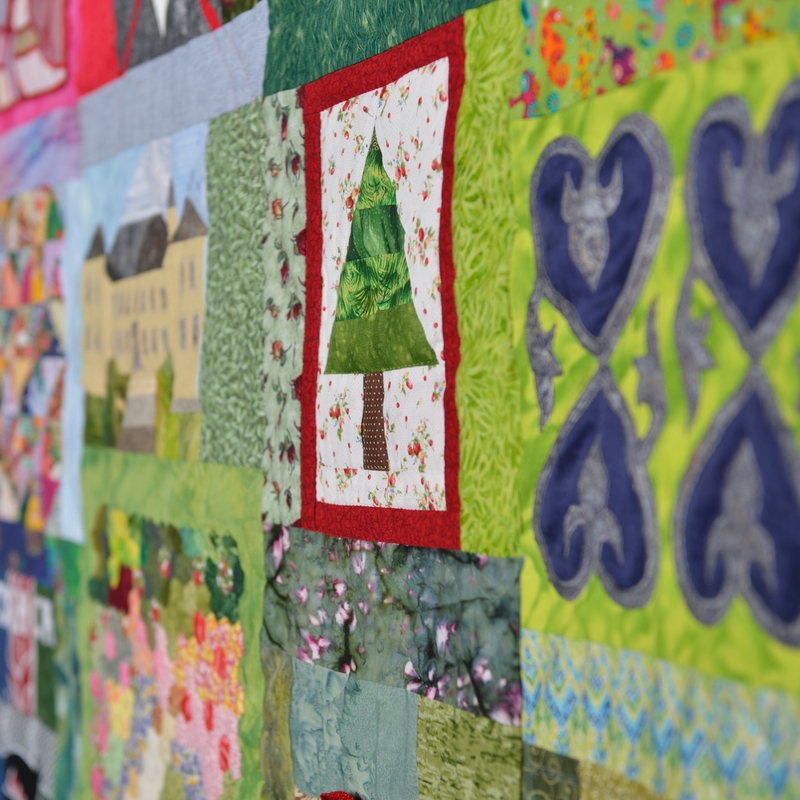 Click on the green + sign to enlarge the quilt for more details! ... PS: The small introductory photo show's Fedor's fir. Fedor is the youngest of all participants - at the time of sewing, he was only 6 years old! Our thanks go to everybody involved, especially to the quilting and sewing team (Anke and Derry especially, and to Johann and Jutta) who put in innumerable hours to piece, quilt and finish this masterpiece.